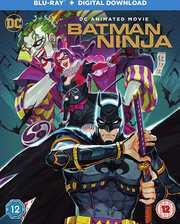 East meets West in this spectacular all-new anime Batman movie! 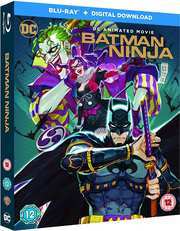 Feature-length animated adventure featuring the caped crusader in Japan. 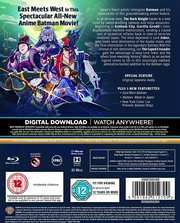 When Gorilla Grodd (voice of Fred Tatasciore)'s time displacement machine malfunctions, Batman (Roger Craig Smith) is sent back in time to feudal Japan along with a number of his most fearsome enemies. Each of the villains seeks to rule a piece of the divided land, led by Batman's arch nemesis the Joker (Tony Hale), who wants to take all of the land for himself. However, Catwoman (Grey Griffin), Nightwing (Adam Croasdell), Robin (Yuri Lowenthal), Red Hood (Will Friedle) and Red Robin (also Friedle) all join the dark knight to defeat his greatest adversaries and help him find a way back home.